It is now stocking VION’s Dichroic Film, Ambience, Contra Vision’s Campaign Clear series, and Contra Vision’s HD Performance ranges. Boasting a five-year durability as well as being fully REACH RoHS compliant, the VION Dichroic Film, Ambience, has been designed to create colour shifting effects on interior glass panels. With its dichroic and chameleon-like properties, the self-adhesive Ambience film changes in hue and colour with every variation in the angle of observation. Suitable for use in a wide range of internal applications on flat and slightly curved surfaces, Ambience uses natural light to maximum effect and can be used to create shimmering effects on glass. In addition, it is scratch-resistant, durable and easy to maintain during window cleaning processes. 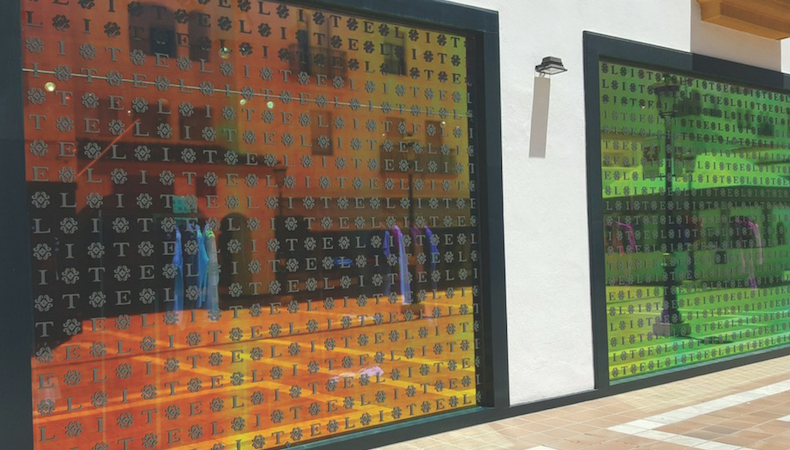 Contra Vision’s Campaign Clear series is a perforated self-adhesive vinyl, which can be used to create see-through graphicson retail and corporate windows. Especially designed for short-term promotional campaigns, thiscompetitively priced film, which can be used in conjunction with solvent, eco-solvent latex and UV printing technologies, offers a wide range of transparencies and features a removable, pressure-sensitive adhesive. Delivering high-definition printed images, Contra Vision HD Performance, is a white-on-black 40 per cent transparency perforated window film that is designed for the provision of one-way vision graphics. It provides a smoother see-through experiencewhen viewed from the inside, plus and higher quality images, due to its ground-breaking perforation pattern that features micro perforations that minimally disrupt the graphic. VION Dichroic Film and the new Contra Vision Campaign Clear series are available to order now from William Smith.